Kids playground. Buildings for city construction. Children`s playground in the city park with toys, a slide, a sandpit. Kindergarten or kids playground in city park. 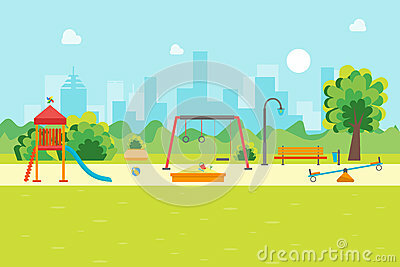 Vector urban life, leisure and outdoor activities illustration. Children`s slide black icon concept. Children`s slide flat vector symbol, sign, illustration.